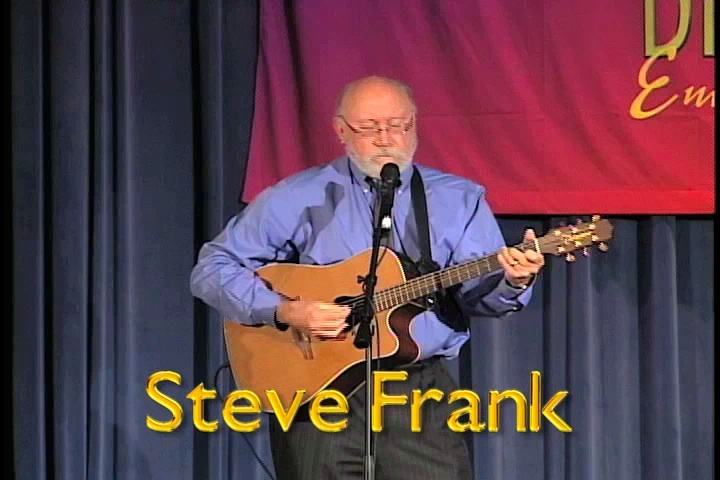 The attached video of "The Immigrants (click here), an original folk song composed and sung by VOA's Steve Frank, marks the reactivation of this blog, VOAWorldMusic. "The Immigrants" was composed several years ago after Steve observed--from the sidelines--an immigration rally here in Washington. The rally was protesting the idea of a barrier between Mexico and the U.S. After this experience, Steve was moved to compose, in the hours beyond the office, this original song, very much in the tradition of American folk music, which acknowledges the role of immigration in the history of the United States. By replacing "they" with "we" in the last stanza, the lyrics subtly emphasize the fact that virtually every living American--except those descended from the original Native Americans--has participated in the immigrant heritage. By day, Steve Frank is the Executive Television Producer for the English Division of the Voice of America. But this year (2010), Steve volunteered his hitherto shadowed singer-songwriter identity to perform his song as the opening offering in VOA's ninth annual Diversity Day Talent Show, which showcased a roster of accomplished artists--musicians, dancers, and actors--selected entirely from VOA's eight Language Divisions. In the coming days this blog will present further video examples of the 2010 Diversity Day performances, to the extent permitted by copyright. VOA's Diversity Day is sponsored by the Office of Civil Rights of the Broadcasting Board of Governors, which is VOA's parent agency; the BBG is comprised of all the U.S. civilian international broadcasting entities. Note: The blogspot platform (which currently hosts VOAWorldMusic) somehow no longer enables significant video content--hence the creation today of the VOAWorldMusic space on YouTube. We will continue to explore further avenues to bring video content to this blog's coverage, on behalf of VOA, of world music.